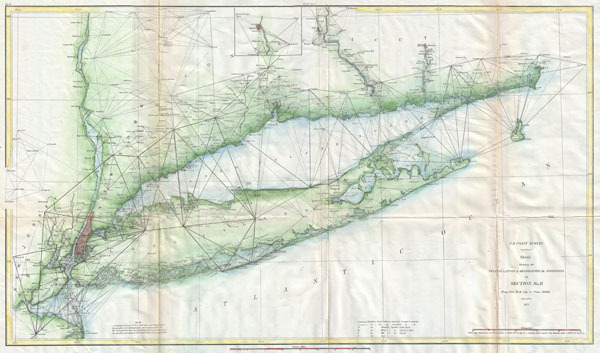 Sketch Showing the Triangulation & Geographical Positions in Section No. II From New York City to Point Judith. Report of the Superintendant of the U.S. Coast Survey, (1877 edition). Good condition. Minor discoloration along original fold lines. Verso repair and reinforcement, mostly along original fold lines. Blank on verso.